I had a strange dream. 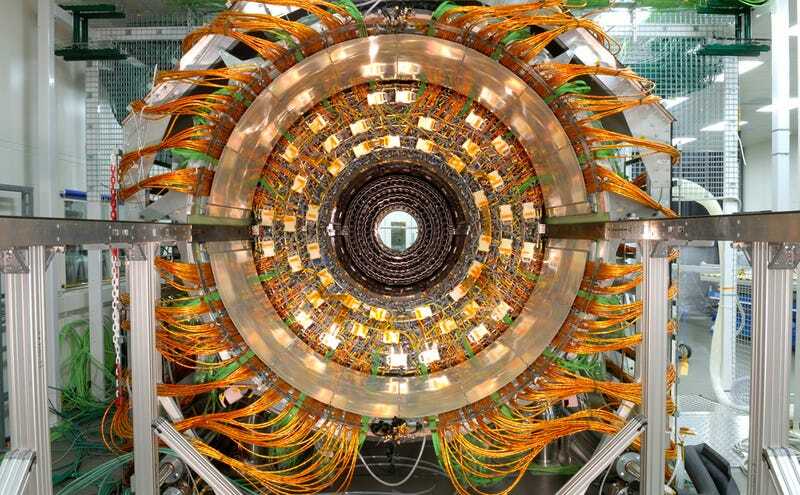 I was trapped in a Jefferies Tube and I had to find the one tin coated muon amongst all the copper coated fermions. Yeah....well....a particle physicist would have thought that was hilarious! Guess what today is. Go ahead and guess. You’ll never get it. Not in a million years will you guess what today is. Give up? Why, it’s the three hundred and ninetieth anniversary of the birth of Ludovico Manin! May 14 1725 Ludovico was born! None of you have any idea who that is, do you? Manin was the last Doge of Venice. What in the name of Cap’n Crunch is a Doge you ask? Doge is the anglicized form of the Italian word Duce. They were the chief magistrates of the city-state of Venice. The first one appeared back when Venice was still a lagoon and the founders were still pounding wooden pillars into the mud to form a stable base for buildings. For those of you historically challenged, that would be around the year 700C.E. Manin was forced from office in 1797 by Napoleon. He had tried to keep Venice neutral in the conflict with France, but since he refused to join the alliance defending the rest of Italy against Napoleon, the Treaty of Leoben gave Venice to the nation of Austria. And that made it France’s city. So, how do you celebrate the birthday of the last Doge of Venice? I-duh-nuh....I’m just telling you what day it is. How you celebrate it is up to you. Although I suggest peanut butter sandwich crackers and mimosas. But hey....do whatever......knock yourselves out. Nah, but seriously, I was just messing with you. I mean, it really is Ludovicos birthday, and he really was the last Doge. But today is a much better day that that. I mean, it is, after all, Totally Trippy Theory Thursday. The day when I tell you all about a theory that actual people actually believe. But before I do, have you ever wondered what makes a person believe something? I mean, most of these theories I talk about are so far out of the realm of possibility that most people consider them a joke. And the fact that some people believe them is just too much. Like, yeah, the Moon is a hologram? or it’s a hollow alien observation post? And there’s a Nazi base on the far side? What makes people believe these? Why do people believe in something so preposterous? This is actually a question that has puzzled many people. Most decide it has to do with general intelligence. As in, only knuckle-dragging cave men could believe something so stupid. So, people who believe ridicules theories must be idiots. But we know that isn’t the case. Take for example Fred Hoyle. He was one of the greatest astronomers of the 20th century. And he believed the fact that human noses evolved with the nostrils on the underside to prevent pathogens drifting down from space from floating into the nose. Or Lord Kelvin. One of the most prolific inventors and greatest thinkers of the 19th century. He firmly believed the Earth was no more than 84 million years old because he knew of nothing that would allow the Sun to be any older than that. So, obviously it isn’t intelligence that makes people believe in these theories. Some of the people who believe the wildest theories are actually quite smart. In fact, you can find believers in all social and economic classes. Some people think it must be a mental illness that causes people to believe. But even that is wrong. The simple fact of the matter is, there is no simple answer as to why people believe in these theories. But that hasn’t stopped others from trying to figure it out. There are enough books written on the subject to fill entire libraries. But one of the things they all seem to agree on is; the smarter you are, the more likely yo are to believe in something others don’t. It has to do with critical thinking and general skepticism. But you know what, you don’t care about any of this. You just want a theory to get you through the morning. So shall we get started? First off, while researching todays theory, I actually got sidetracked not once, but twice by theories that have nothing to to with todays subject. And, me being ever curious, I had to make a side trip to check them out. And now I want to share. The second is the theory that television magicians are able to shock and amaze their audiences by using the powers of the demons from the underworld. Not some mythical or biblical demons either. But actual demons who live in another dimension. And all that hand waving is actually the magician summoning the demons to do their bidding. Now, if I remember correctly, I once told you the theory about how Bush invaded Iraq in 2003 to cover up the fact that he wanted to steal the Star Gate that Saddam had found in the desert. We all had a good laugh at that one, right? But we know it’s not true. And how do we know? Because the Star Gate wasn’t left by aliens in the deserts of Iraq where it was forgotten and buried by sand. No, the Star Gate wasn’t real. Until the scientists at CERN built it! Oh sure, they say they built something called the Large Hadron Collider. But it’s actually a Star Gate. Well, it’s not really a Star Gate so much as it’s a device designed by an ancient alien race to bring the God Osiris back from the dead. I mean, sure....they could use it to travel between gates. But by bringing Osiris back, they eliminate the need for the gates. And, just so you know, this isn’t just a lame theory. It’s the actual, 100%, honest truth. And how do we know it’s the truth? Because standing outside the entrance to the lab where the LHC is located is a large statue of the God Shiva. Obviously the Hindu God is standing as a sentry to protect the device designed to resurrect an Egyptian God. And what would be the purpose of bringing Osiris back? Well, he was the god of...um...the dead? And everyone knows you can’t have a zombie apocalypse without the god of the dead. Or something. Look, crazy theories don’t actually have to have a reason. They just have to exist. For our entertainment. Anyway, enjoy. I’ll be back tomorrow with another post about dead stuff. In the last 2 weeks I’ve received 3 new fossils, so I might feature them. Or I might not. We’ll see.